100 PCT NON SMOKING The Hilton Providence hotel is a full-service luxury hotel with 274 beautifully appointed guest rooms. Located in the heart of downtown our hotel is in walking distance to Historic Federal Hill Providence Place Mall Rhode Island Convention Center and adjacent to the Dunkin Donuts Center. The Vig our onsite restaurant offers all day dining with exceptional cuisine and a fun contemporary atmosphere. There*s a seasonal patio where guests can dine al fresco and watch the city go by. Our Starbucks cafe is the perfect spot so discover a wide variety of coffees. Enjoy some of the full service amenities we have to offer while visiting including. The Vig Starbucks cafe fully-equipped fitness center indoor pool business center outdoor patio and room service. 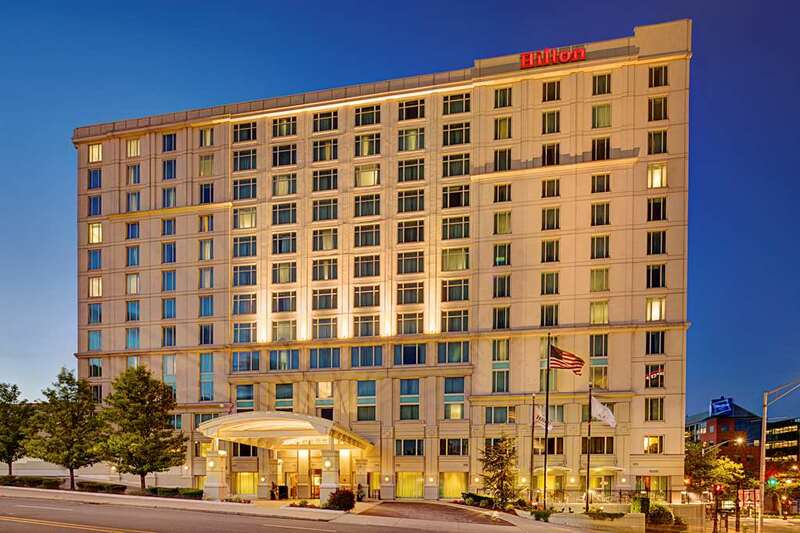 Acclaimed for our meeting facilities and service tailored to the needs of small groups as well as large conventions the Hilton Providence hotel makes event planning easy. Providence is the perfect location for the traveling business associate. With over 9 000 square feet of meeting space and state-of-the-art equipment our Hilton is the perfect place for any type of business meeting from 4 to 400 people. If it*s a social gathering or wedding you are hosting we will assist you in planning all the important details surrounding your special event. The Vig Providence: Contemporary sports bar offering refined food deliciously crafted cocktails and a sleek but casual atmosphere.